The real estate market in and around Pattaya has developed rapidly in recent decades. Meanwhile, there are thousands of apartments and houses on offer in all price and quality levels. Without a proper and knowledgeable local property agent, it is hardly possible to obtain an overview and find the right property. It is also not easy to sort out the many black sheep from the multitude of real estate agents in Pattaya. It can be helpful to check on memberships of the regional broker association REBA -ES, the Real Estate Brokers Association Eastern Seaboard. Global Property is a member of REBA -ES. In addition, the managing director Rainer Heinzmann and his wife Laila Heinzmann have been certified as a certified international property specialist by CIPS, a member of the National Association of REALTORS ®, the largest American association of real estate agents. All employees of Global Property are graduates of the Real Estate School of Thailand. This explains why Global Property has been one of the leading and most successful real estate agents in Thailand for over 10 years. Our consultant also hold the international license as Certified Residential Property Specialist (CRS). 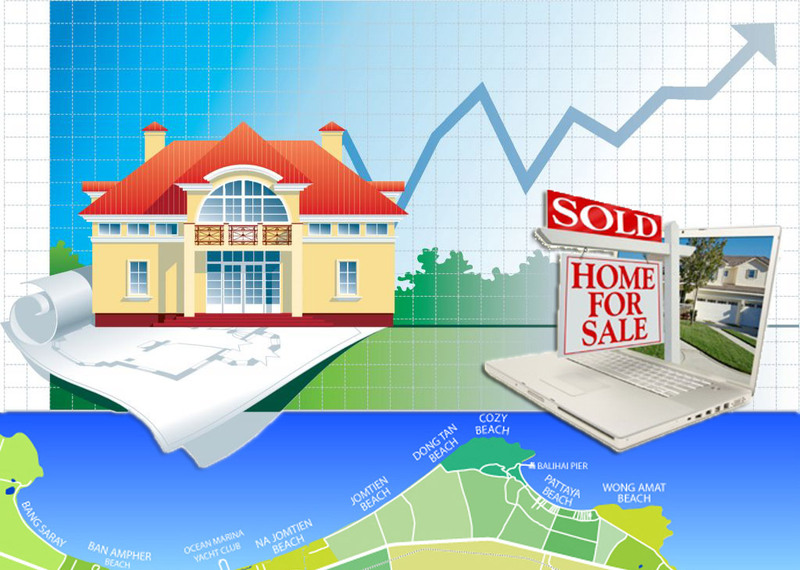 When searching for a property, the crucial question always is in which location you should be looking for a property. Do you want to buy a house or an apartment? Should it be directly on the beach, near the beach or rather lie in the hinterland? Do you want in an exclusive high-rise building with many units, or rather in a boutique condominium in which people know each other? Do you want local or international management and neighbors? Do you prefer small rooms or do you need more space for yourself and your family? The question of whether you want (and are allowed) to register the property under a foreign name or whether you register it on Thai name (your life partner or a company, for example), ultimately determine the offer and the price. Global Property knows all the important parameters. It offers free advice and based on your preferences can filter the most appropriate properties for you.